An Example Juvenile Detention Exam report helps assessors understand how obtained juvenile information is consolidated and presented. 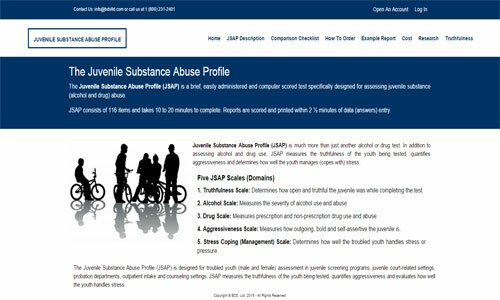 To Review a Juvenile Detention Exam example report, click on this Example JDE Report button. 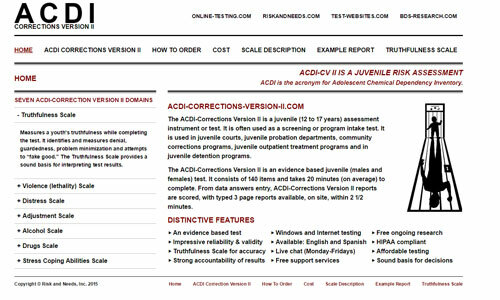 The Juvenile Detention Exam (JDE) is a brief, easily administered and automated (computer scored) detention center test. It is appropriate for troubled (male and female) youth. 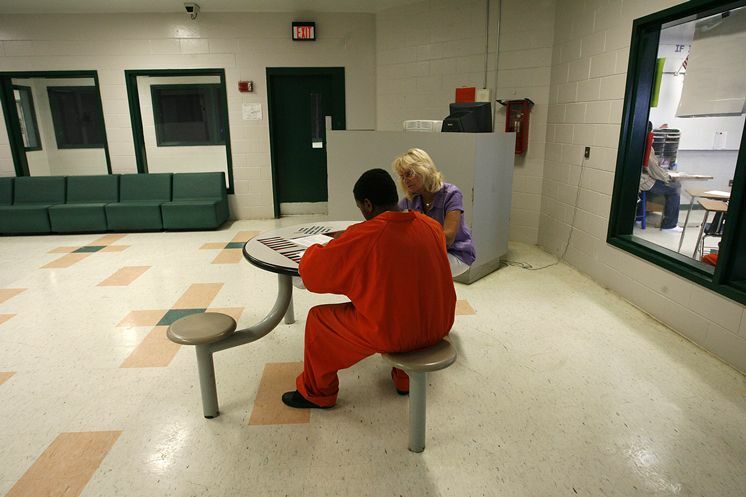 The Juvenile Detention Exam (JDE) consists of 109 items and can be completed in 15 to 20 minutes. 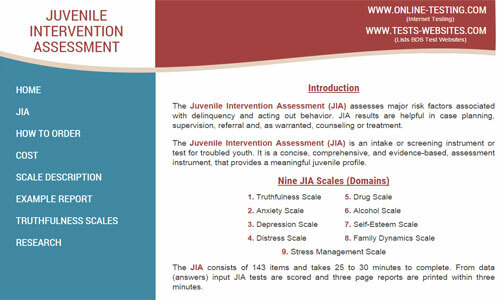 The JDE has five scales (measures): 1. Truthfulness Scale, 2. Alcohol Scale, 3. Drugs Scale, 4. Violence (Lethality) Scale, and 5. Antisocial Scale. Behavior Data Systems, Ltd. (BDS) tests can be administered in two ways. 1. Over the internet. Tests are also available over the internet on our Online Testing platform www.online-testing.com. Tests can be purchased one at a time or in any quantity desired. Tests are available online 24/7. 2. On 3½" diskettes or USB flash drives. Diskettes or USB flash drives come pre-loaded with 25 or 50 tests, whichever the test user prefers. Visit our website, www.bdsltd.com for more information. Whether tests are on diskettes, USB flash drives or provided online test reports look the same, are computer scored on-site and are evidence based.